Residential Properties in Noida Expressway becoming hot and hot these days. Some of the Sectors along with Noida Expressway like 94, 100, 128, 137, 142, 143 and 168 have various residential options in affordable to mid-segment, which is offer the latest in construction technology with world-class facilities like swimming pool, indoor games, badminton court, play area etc. Noida-Greater Noida Expressway is a good bet for property investor and end users. The reason behind is Noida Expressway area offers different types of infrastructure developments like IT Parks, 5 Star Hotels, Educational Institutes, Shopping Malls, Golf Course and Hospitals that add quality to the lifestyle for new generation of people. Delhi Metro and DND Expressway are already operational and provide better connectivity from Delhi. The proposed flyovers, underpasses, New Metro Route will added advantage in Noida Expressway Properties. Clean wide sector roads of Noida Expressway are poised to make living better in residential sectors of Noida Expressway. All these infrastructural factors appreciate the Noida Expressway Properties and encouraged people to move here for living. Jaypee Group is one of the big builder on Noida Expressway who have major land bank along with Noida – Greater Noida Expressway. 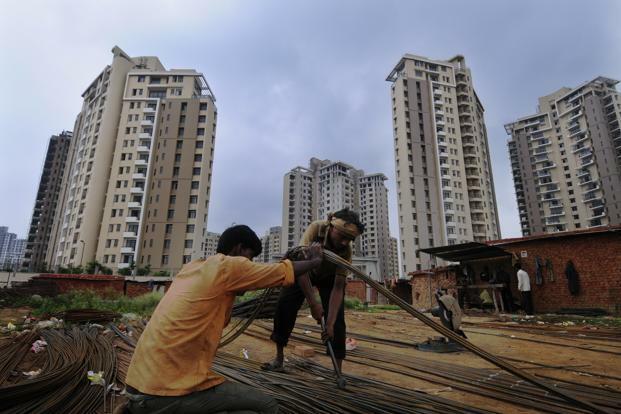 Jaypee Group has right to develop almost 1200 acres land with a 90-year lease. In this region, most of the residential properties involve high investment, residential projects for middle-class and limited-budget buyers are also to be developed by developer within a 3-5km stretch along the Noida Expressway. Ready to Move Properties in Noida Expressway have registered good appreciation in the last couple of months. Some of the high-end luxury projects on Noida Expressway booming the property price here and upcoming premium residential projects by Unitech: Unitech Grande and a golf themed residential condominium are one of the example. Supertech, developing India’s tallest and largest mixed-use tower in the name of Supernova along with Maha Maya Flyover in Sector 94. Dwarka is the most sought after suburb located in the south west of Delhi. Over the years the prominence that has been acquired by this suburb is amazing. One of the most important aspects that it has gained so much importance and an ideal location for residing is its proximity to the IT hub of the northern India “Gurgaon”. As it is the known fact that professionals working in Gurgaon often prefer to reside in Dwarka due to its proximity, ideal homes, friendly environment and proximity to the international airport. It is about 10 kms from the Indira Gandhi International Airport. One of the important aspects of this locality is its connectivity to major places in and around Delhi. The infrastructure is commendable with wide roads, parks and open areas. All these aspects also make it very ideal for real estate development too. Dwarka is well surrounded by good International schools, colleges, connectible to other areas of Delhi through public and private transport, metro station, good infrastructure, malls, hospitals and a perfect living environment one needs. Most recent developments are planned keeping in mind modern amenities. People interested in making Dwarka their home are interested in good properties even if crosses their budget by 10 to 15% as they are looking at a quality life in the suburb. And so far none has been disappointed as they have got what they wanted. With the boom in residential property in Dwarka and commercial property in Dwarka has also experienced a steep rise. The mall fever has also caught up with Dwarka, and one can see number of malls sprawling on several acres of area, providing a golden opportunity for commercial property investors. Today it is merely not known as a residential area but a booming commercial hub where small and big businesses make millions of turnover. Hence if you have not ventured out in investing in commercial properties in Dwarka, then think again you might be missing a goldmine. The Northern Peripheral express highway running between Dwarka and Gurgaon has been a turning point not only to commuters between the two cities but also has provided a great opportunity for real estate developers to develop property along the express highway. This area is on the hot destination for people looking for investing their hard earned money in commercial or residential property in Dwarka. You can look at a rise in price of up to 30% to 40% in the next six months. Hence it’s time to act and make the right investment with a good developer. So as the saying goes “hit the iron when it is hot” it’s time to invest in a property in Dwarka and multiply your fortunes in the next couple of years. If you are looking for affordable housing in Delhi NCR, then the Noida-Greater Noida stretch is definitely worth consideration for you. There are several under construction projects, which is offering 2 BHK, 3BHK and 4 BHK apartment options in the range of Rs 27-80 lakhs. These Residential project cost is based on the sector wise. Of the three locations, Noida, Greater Noida and Yamuna Expressway, Noida is considered to be a notch above Greater Noida and Yamuna Expressway. The average price range of residential properties in Noida is between Rs 4,500-5,500 per sq ft, while in Greater Noida and Yamuna Expressway, the price range between Rs 2,700 to Rs 4,500 per sq ft.
Noida is the costliest location among the three, with under construction residential apartments prices starting at Rs 4,500 per sq ft and going up to Rs 5,500 per sq ft. 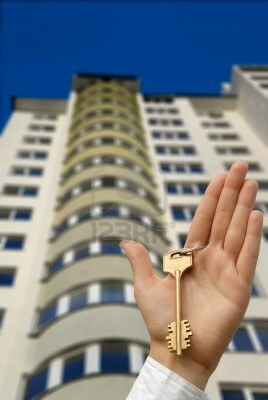 But if we talking about ready to move property in Noida region then the price range starting at Rs. 6,500 and goes to 12,000 per sq. ft. However, for someone who looking for affordable housing options in Noida, then under construction project is better option, which will ready to move with 8 to 12 months. Under construction apartments values are still within reach when you compared to ready to move apartments. Some of the major under construction projects in Noida are Aditya Urban Casa, Supertech Cape Town, Mahagun Mazzaria, Lotus Boulevard, Lotus Zing, Paras Tierea, Paras Seasons, Lotus Panache, Logix Blossom County, Logix Blossom Greens, Unitech Unihomes, Ajnara Grand Heritage, Antriksh Golf View, Jaypee Pavilion Court, RG Residency, Supertech Supernova, Supertech Ecociti, Victory Ace, Prateek Wisteria, Gulshan Ikebana, Sikka Karnam Greens, Aakriti Shantiniketan, Supertech North Eye and ORB. These 3 locations witness the maximum demand for 2 BHK apartments then followed by 3 BHK apartments, according to the leading real estate website – PropertyDuniya.com. These are affordable housing locations of NCR and there is huge demand for residential units as thousand of people working in the IT companies and BPOs. Most of the Builders and Developers try to launch 2-3 BHK Apartments in this region because majority of end users looking for 2BHK units only, who have very limited budget. Growing the huge demand for 2 BHK apartments in these locations, prices can me higher in near future. So, if you are also one of the end user who are looking for affordable homes in NCR then try to book one of the apartment in Noida and get huge appreciation in near future. Amrapali is one of the well known builder in Noida Region. 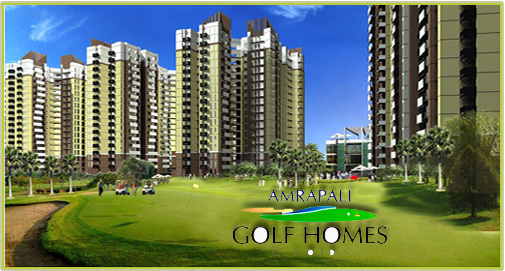 Some years back Amrapali launched various projects in Noida as well as Noida Extension area. Some of the residential projects are Amrapali Heartbeat City, Amrapali Terrace Homes, Amrapali Princely Estate, Amrapali Silicon City, Amrapali Hanging Garden, Amrapali Zodiac, Leisure Valley, Golf Homes, Centurian Park etc. These Amrapali Projects in Noida very well designed by its renowned architect. 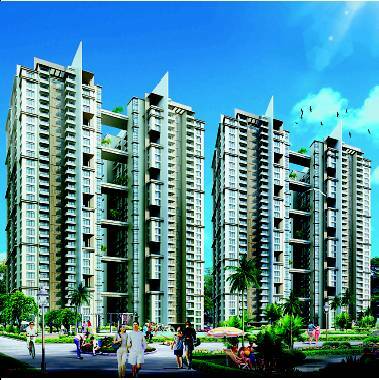 All these Amrapali project in Noida offers luxurious apartments with 2bhk 3 bhk and 4 bhk flats in Noida. Some of the buyers protest as no construction started yet in Amrapali’s Hanging Garden Project, even buyers made the 30% payment. Same like Amrapali project various residential projects in Noida hit by low down indian real estate market. Thousand of unsold inventory available in different projects in Noida. Builder try to offer different scheme in these projects like 50:50 Scheme, No EMI Till Possession Scheme, 25%/75% Scheme for selling these unsold inventory. Various residential projects in Noida launched in 2009-2010 time and these project’s structure almost complete but because of financial crises some of the builder stop the construction or slow down the construction in these projects. Buyers really frustrated with the builder’s attitude and want early possession but builders not showing any interest in old customers. Some of the late residential projects in Noida are Amrapali Hanging Garden, Logix Blossom County, Jaypee Pavilion Court, Unitech Grande, Unitech Uni Homes, All Noida Extension Projects. Even one or two projects of Amrapali in Noida Extension cancelled by Honorable Allahabad High Court. 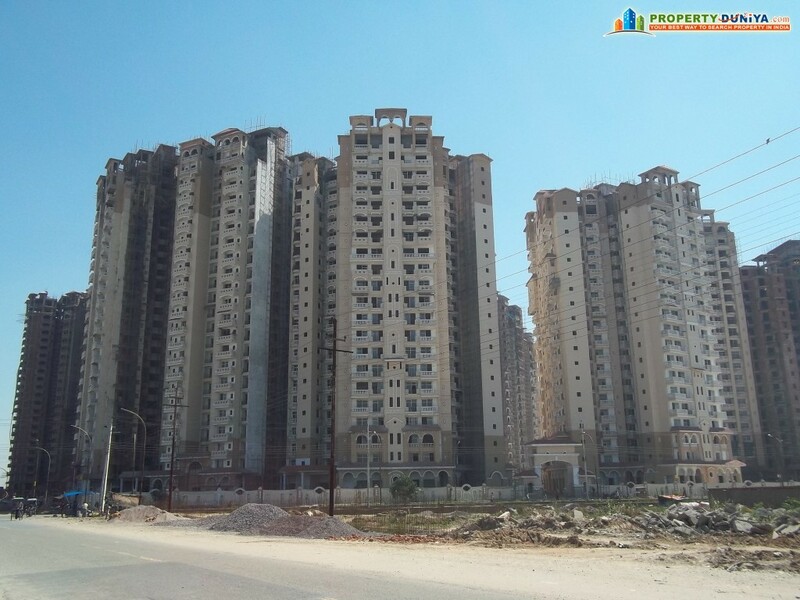 If you also one of the buyer in Amrapali project and want to money back from the Hanging Garden Project you can contact in the Amrapali Corporate Office or just browse amrapali official website http://www.amrapali.in/and use the contact form. Paras has launched a residential project along the Noida expressway in the name of PARAS TIEREA and project delivering 2,800 units in best established Sector 137, Noida. Noida is among the ideal choices in Delhi NCR for property buyers. The busy infrastructural progress in this area over recent few years, the Metro connectivity, a great road system, flyovers, market place, shopping malls and office have all included in the growing requirement in Noida Real Estate Market. Numerous real estate experts advise that a new home amount of 6,000 flats of about 10.76 million square feet is predicted in Noida by end-2011– this is almost 7 % of the entire supply assumed for the entire of the NCR Real Estate Market by end-2011. And, in Noida, one area that is seeing a strong level of building activity is the Noida-Greater Noida Expressway. Anyone can view the rapidly rate development happening in new sectors with this stretch like Sectors 93, 119, 120, 121, 128, 134, 137 and 151. Currently there are nearly 40 sectors along the Noida-Greater Noida Expressway, split into 4 zones under the Noida Master Plan 2021. Among other residential projects, Paras Buildtech has started Paras Tierea in Sector 137, 2 Year ago, and construction has pretty much in advance stage. Many peoples looking for the construction status of Paras Tierea just because they want to move in this project as early as possible. Here We provide some construction pictures of Paras Tierea. Property Experts in Delhi NCR explain that from the moment a flat is booked in a builder project to the possession of the flat, it would certainly have improved hands a minimum of two times. From the moment of welcoming bookings for a flat in a builder project to the phase when a builder provides the possession, on an average, a house unit alters hands two times in the Delhi NCR Real Estate. If we think about the genuine offers, roughly 20-25 % purchasers are really investors. There is no particular information, experience recommends that even of these 25 % investors, close to a quarter are those who do it for a brief term while the rest wait to get possessions. According to property professionals, such numerous selling of flats just indicate an indirect loss for developers as they may just introduce their tasks at a greater cost than letting investors take advantage of it. There are fantastic revenues to be made in the India Property market. Mindful research can even discover properties that provide immediate equity and assured returns. India is presently the foreign investment hot spot in realty market. The prospect of capital gains of 30 % per annum, and the least expensive property in India is bring in investors from throughout the world. Millions of rupees are being invested each and every month by investors excited to money in and this is readied to continue unabated. Entry into the Indian Community constantly prompts large cost boosts, with 100 % capital gains in a solitary year, rather prevalent. All property enters India provide astonishing worth for cash and are experiencing great capital gains throughout the board. With cautious research, astounding possibilities are to be discovered in this growing market. The sheer volume of homes can provide a baffling option and in any area or resort the asking rate of the homes on sale can differ enormously. It is important to efficiently determine the marketplace worth of each certain location. In the off plan market specifically, designers will introduce their brand-new tasks with introductory price cuts to promote sales. Characteristic are readily available with rebates of approximately 20 %. The property for sale in India is largely created for the vacation trade and business letting market. Forward thinking designers, have actually currently started to sign arrangements with significant vacation business and companies for letting the homes they are developing. The earnings produced is then passed to the buyer, as a more inducement to promote sales. India provides the very best investment opportunity around these days. The reduced expense of entry, regular price increases and the anticipated capital gains rise from NRI investment following year, offer an alluring mix for the property beginner and skilled investor alike. PropertyDuniya.com is a leading real estate portal and provide free of cost service to find either resale or newly property, with rates that vary from under 25 Lakhs Rupees. With workplaces in various places of India and they have a wide range of regional expertise and a huge portfolio to pick from. This blog provide accurate information related with real estate investment India, reviews of new property projects across India as well as best property suggestion for buyer and investor.